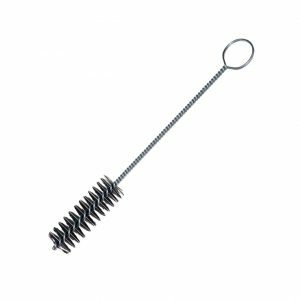 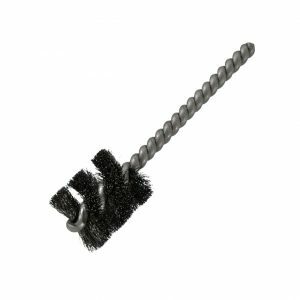 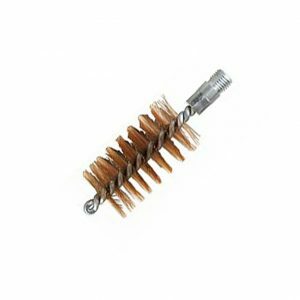 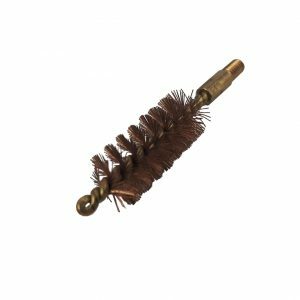 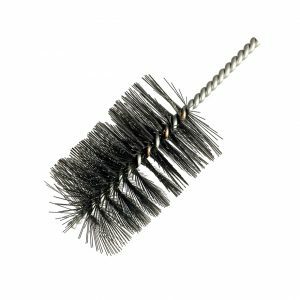 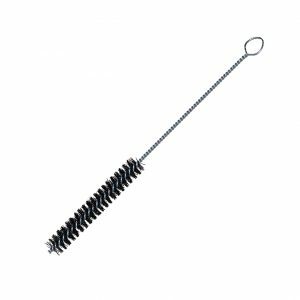 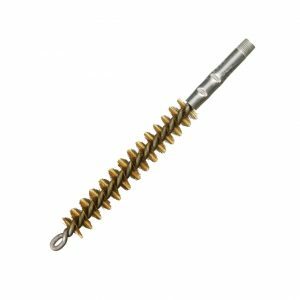 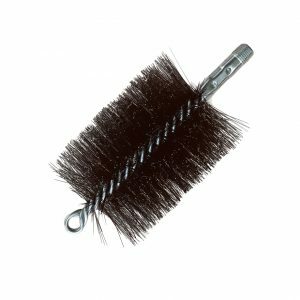 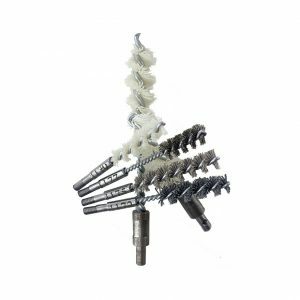 Also known as: twisted in wire, spiral, tube, boiler, pipe, flue and chimney brushes, our twisted brushes come in variety of brush bristle materials. 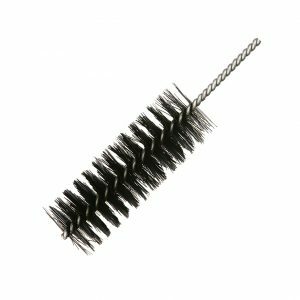 These brushes are constructed by inserting fill material between the fold in the wire stem, and then twisting that wire stem into a brush. 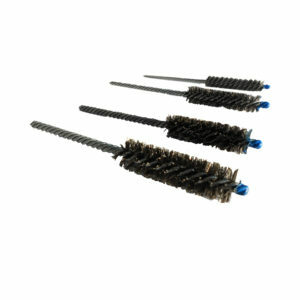 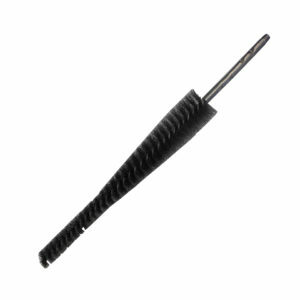 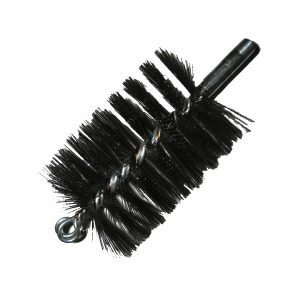 The fill material most commonly used in these brushes is nylon or steel/stainless steel. 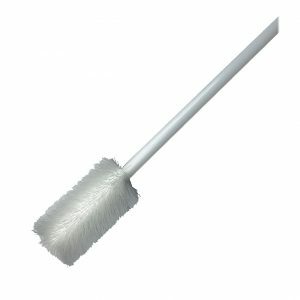 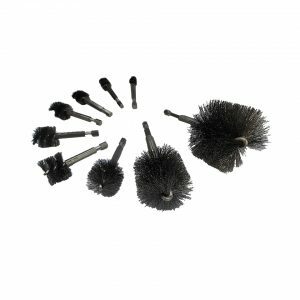 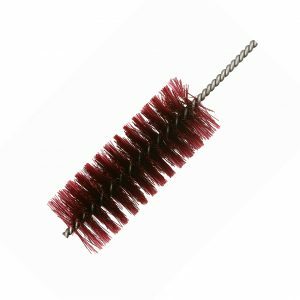 Some of our brushes however, such as our market-leading automotive deburring brushes are designed using an aluminum oxide filament, which has proven to provide a more aggressive deburring action and a longer brush life. 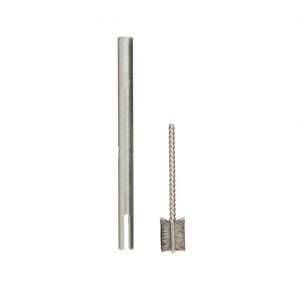 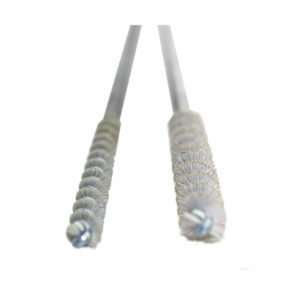 Our metal free flue/tube brushes are manufactured using a unique new patented design which revolutionizes the traditional “twisted in wire method” and makes the perfect medical brush for pharmaceutical cleaning and maintenance applications.